These wooden steps may be the ones referred to as Garden Stairs by Peter Finch in his 2010 Access to the River Thames document but it’s hard to tell because the riverfront has changed so much in recent years. He lists the gate as locked whereas this one is open .. technically speaking! Some bright spark has fitted a modern railing so close to the old gate that it can only open enough for a very thin person to squeeze through. However by stepping onto a low wall to the side one can easily edge around it to get to the steps. 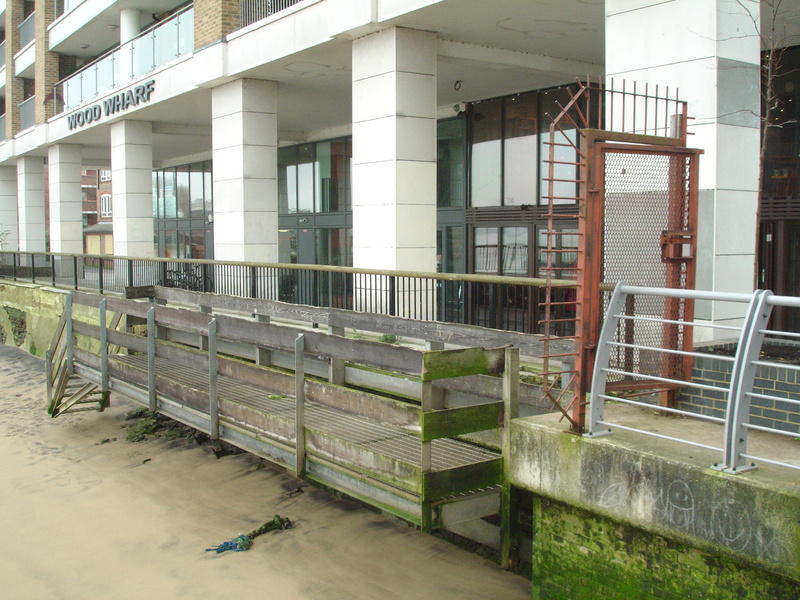 This is the only proper entry/exit point for a stretch of beach which runs from the Greenwich Foot Tunnel entrance downstream to the mouth of Deptford Creek upstream. It is for the most part quite open and spacious though, so there’s less danger of being cut off by the tide .. as always though, one has to keep an eye out. It’s a good place to go if you’ve left it far to late for serious looking .. i.e. already 90mins after low tide .. but still want a bit of upper beach shingle to ponder over. Below is a colourful piece of river wall next to the entry steps. There are definite ‘hot’ and ‘cold’ areas along this stretch, though as always the Thames seems to delight in throwing up practically anything anywhere, which is part of the fun of the game! The photo above, looking downstream from the steps area, was taken long after low tide so you can’t see the ‘hot’ area I’m talking about but you can see the three vertical timbers in the water. At low tide the area below these i.e. towards the water, and back along to the massive stone slipway, is particularly fruitful. 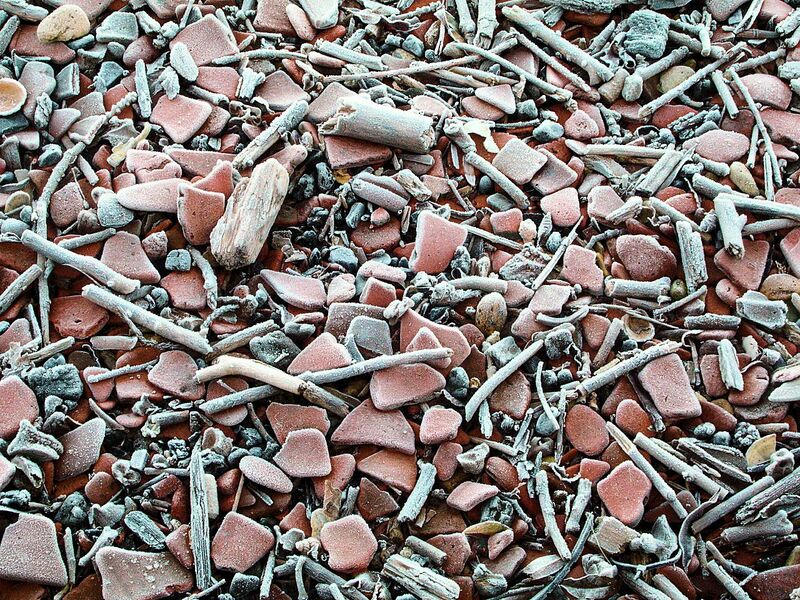 The ground in this area looks mostly like this below, stony mud or muddy gravel with lots of dark flint or reddish accents from the profusion of pottery, roof-tile and brick fragments, mingling with the red-orange of rusted pieces of metal. 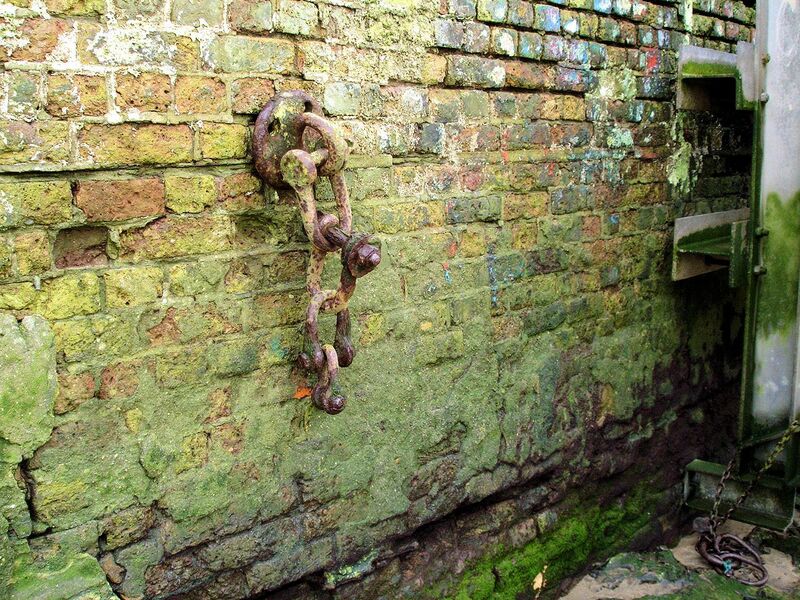 These are a lasting reminder of the main use of this stretch of the foreshore for centuries .. not only building ships and barges but breaking them too. 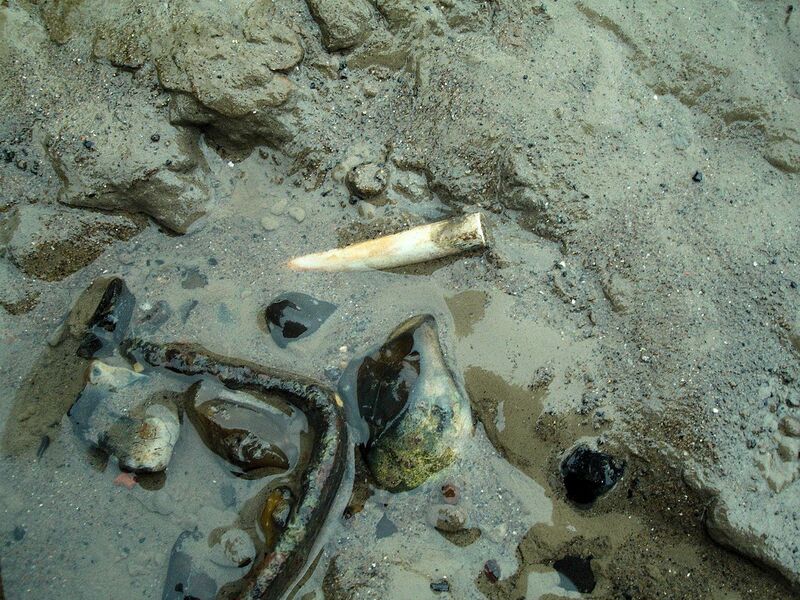 Against the dominant umber and reddish brown, light fragments of clay pipe are easy to spot. 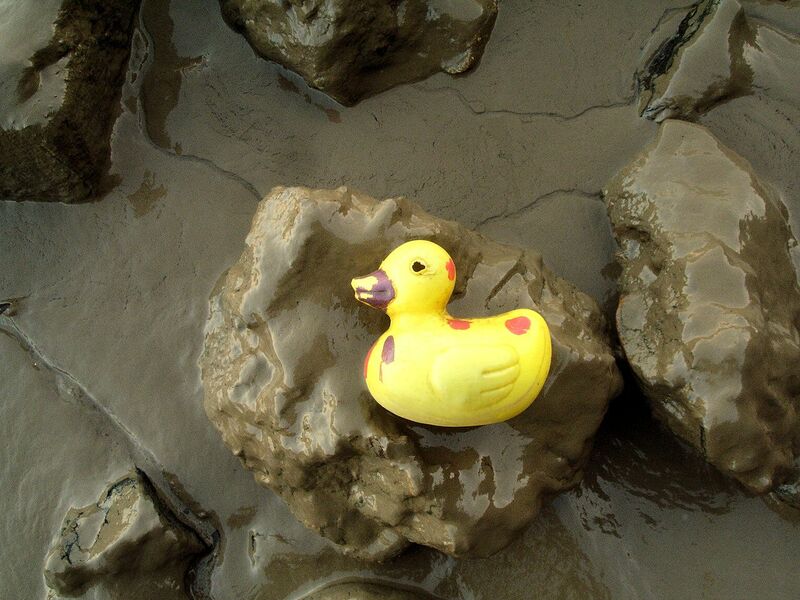 Particularly down at the water’s edge at low tide are small areas which look like pottery dumps. I’m assuming that what these are in fact, are early efforts to consolidate the ground using building waste including perhaps the household waste of the time. There are often many pieces of clay pipe to be found in these patches. During one visit I found the above pieces in less than half-an-hour and all buried within inches of each other! That’s not uncommon when one finds a ‘spot’ but what is unusual is how they span the periods. Starting from the bottom, anti-clockwise .. this can be dated earliest 1660-80 and it has a maker’s stamp on the sole of its ‘heel’; the next to the right is most likely around 30 or-so years later; the top bowl form is fairly common in Greenwich dating up to 1770; and lastly the middle is more finely made, also marked, and probably comes from a whole century later. 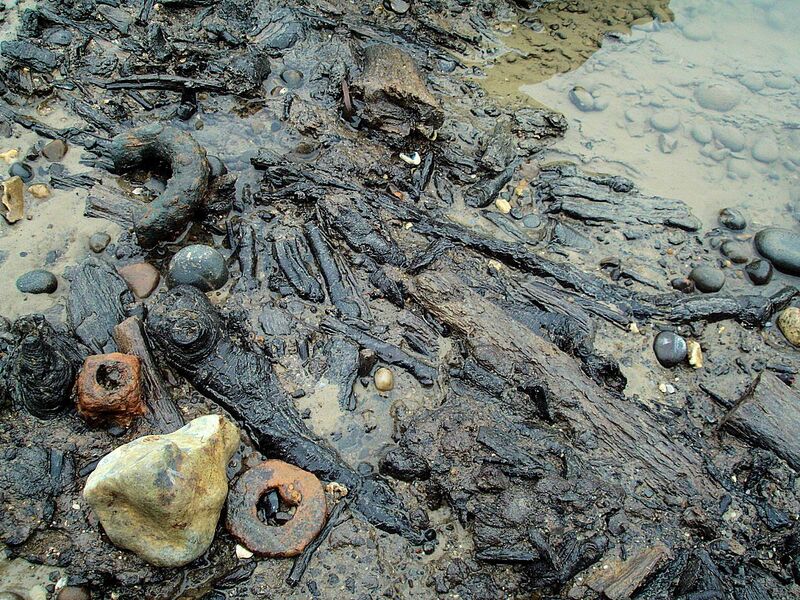 There are different reasons for Thames artifacts congregating like this. 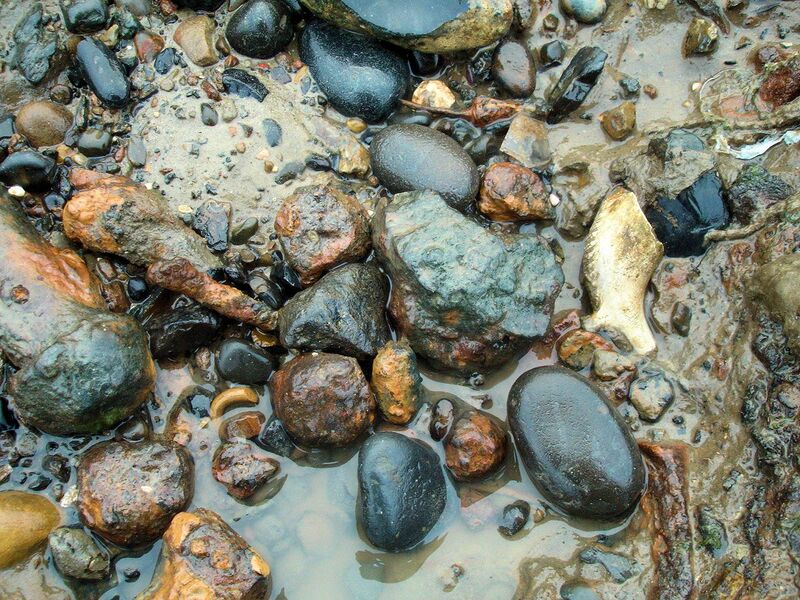 One is the fact (as seen on most tidal beaches the world over) that the water movements sort objects by size and weight so similar artifacts can end up together. 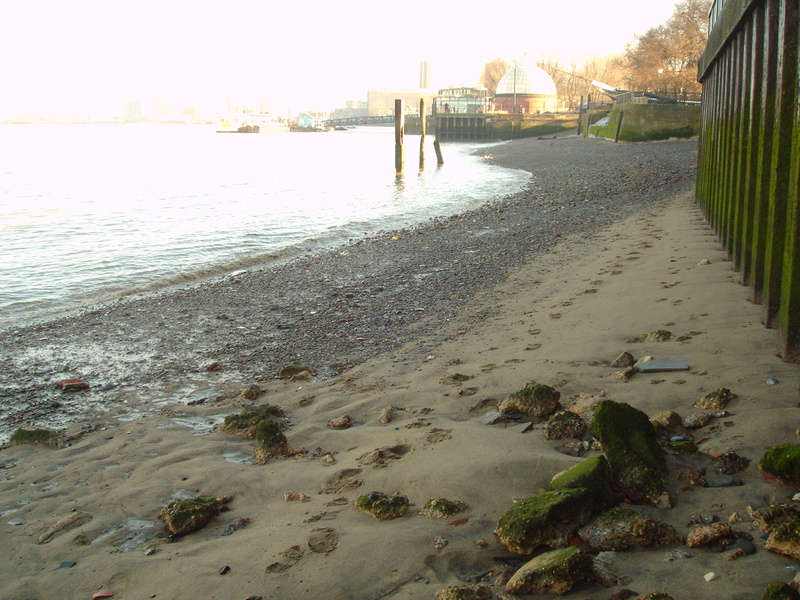 As an illustration of this, there are areas of the Greenwich stretch which are covered with discarded nails and bolts from ship-breaking and amongst these one will often see their modern relatives .. some strange form of magnetism! 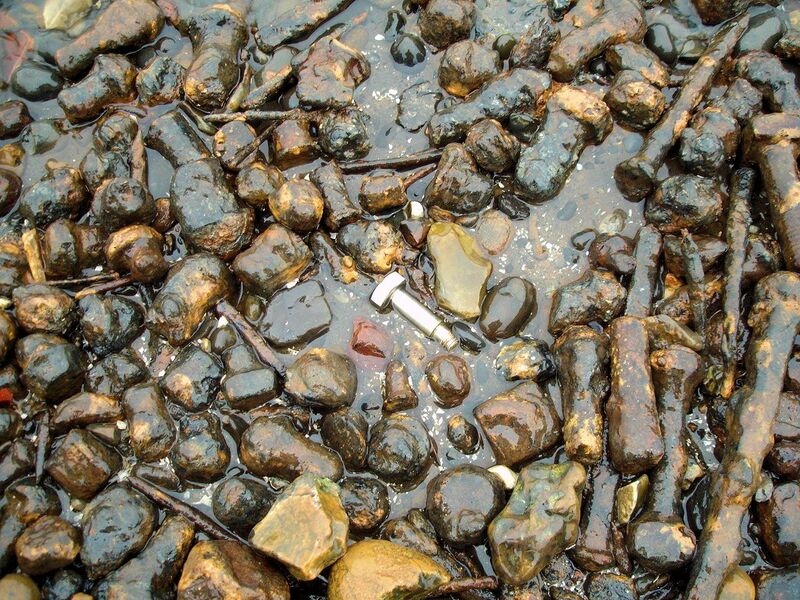 Another reason pinpoints the specific history of a spot .. used clay pipes were most often discarded either where dock workers would gather on the jetties waiting to load/offload cargo, or by workers or general public waiting for ferries. Over hundreds of years objects can be swept this way or that for various reasons but sufficient numbers of them will also stay put roughly where they were first dropped. Elsewhere as if to counterpoint there are very small traces of early woodland .. that’s what I’ve been told! .. from when the Thames itself was much younger. 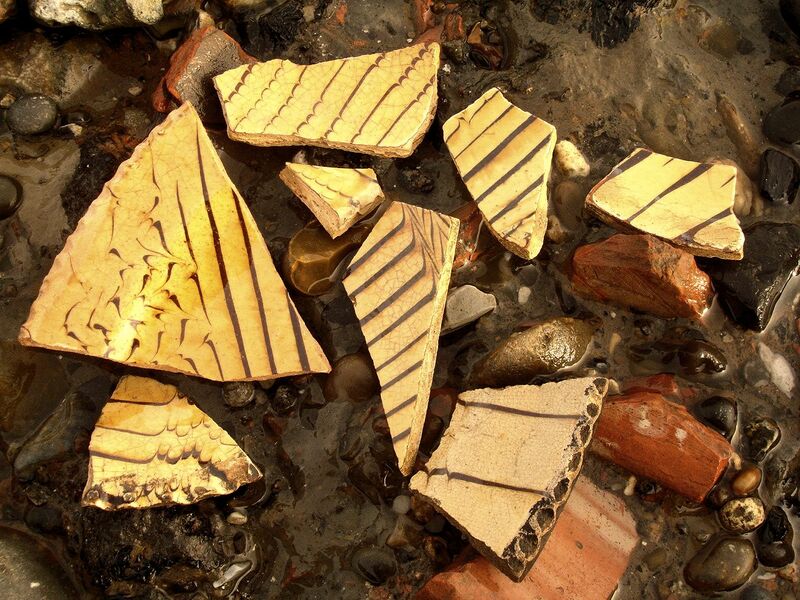 Greenwich as a whole is most interesting for its variety of ceramic fragments, or ‘potsherds’, spanning the centuries. The most distinctive and easily recognisable are pieces of 18th century Staffordshire combed slipware of which this below is an example, courtesy of antiquepottery.co.uk. This type of slipware was used mainly for large plates, serving or baking dishes. All of the pieces below were found during one session in Greenwich. A few of them show the distinctive edge ‘crimping’ common to this type. 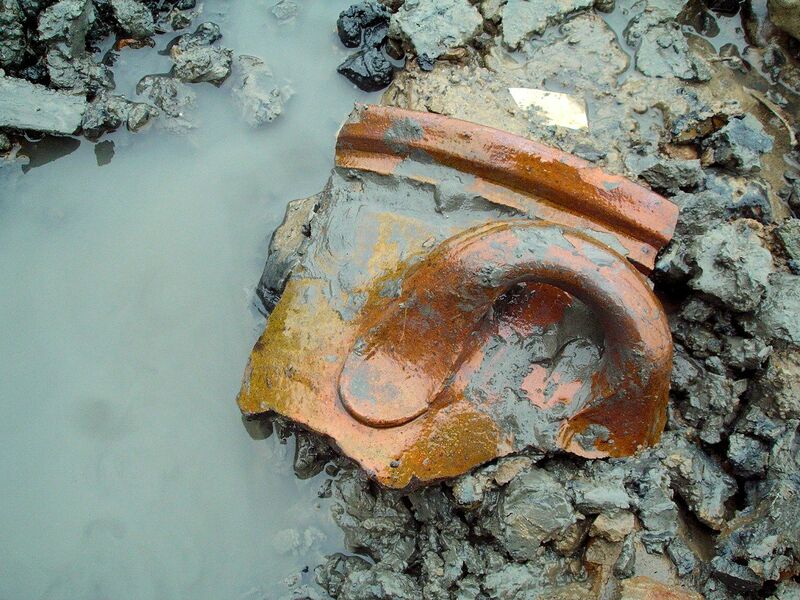 Another distinctive type almost guaranteed to be found on the Greenwich foreshore is Mocha ware, which was low-cost and popular in Regency England (first third of the 19th century) but continued to be produced until well into the 20th. Above is a beautiful example from 1stdibs.com .. a pitcher from the 1820s showing the characteristic wheel-assisted slip banding in different colours. But the most interesting feature of mocha ware (which gave it the name) was the dendritic or tree-like decoration produced by dropping acidic colour into the alkaline slip, giving a natural pattern which at the time was likened to ‘mocha stone’, a type of agate. This piece below is from slightly later, mid 19th, when mocha ware became very common for public house mugs and jugs etc. The decoration was simpler and most often ink-blue. For pottery which lacks such distinctive features it is very difficult to identify or date with any certainty unless you have years of experience. 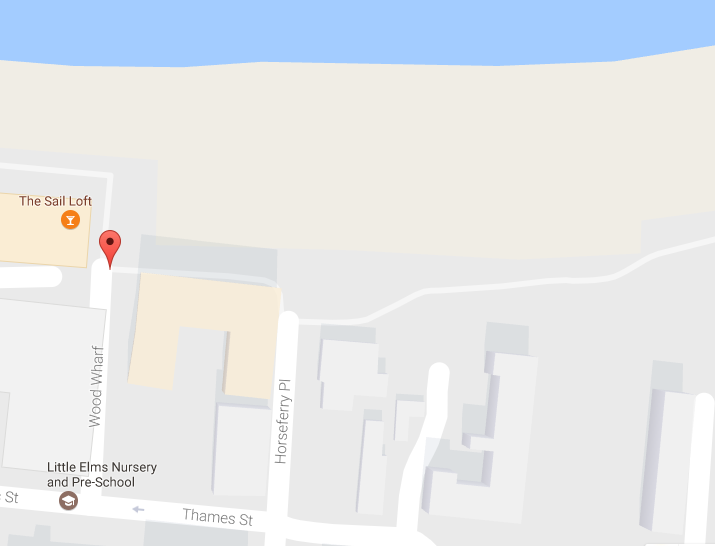 This was my case with the next example which was found towards the downstream end of this stretch, nearer the mouth of Deptford Creek. The photo below was taken ‘as first spotted’, as I always aim to do but often forget. 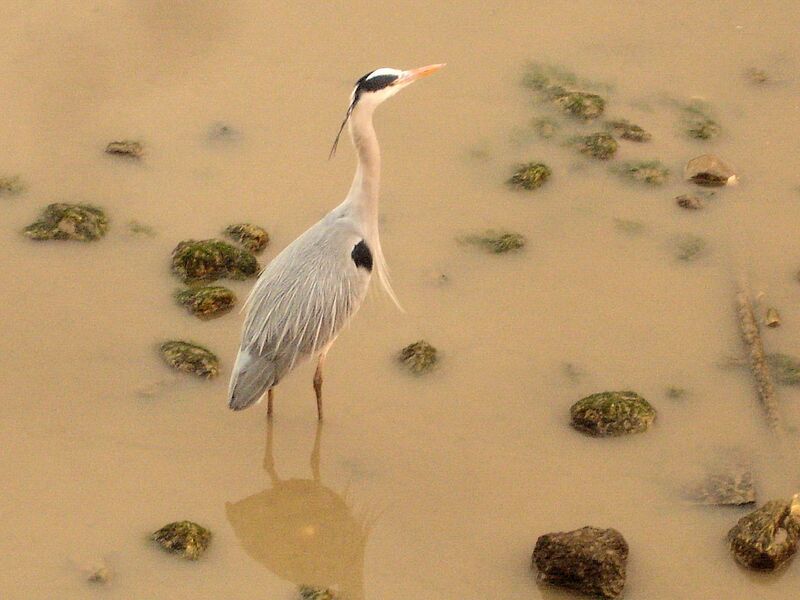 It is good practice, because the photos serve as good reminders of what signs to look out for. Often there is only the merest hint visible and what emerges can be a surprise. This piece was huge compared to what’s commonly found .. c. 20-16cm. 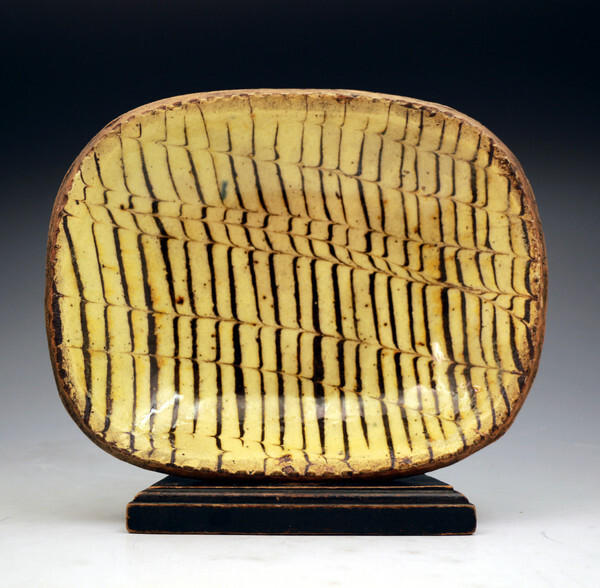 The work is rough, uneven but it has a highly glossy, honey-tinged glaze on both sides. 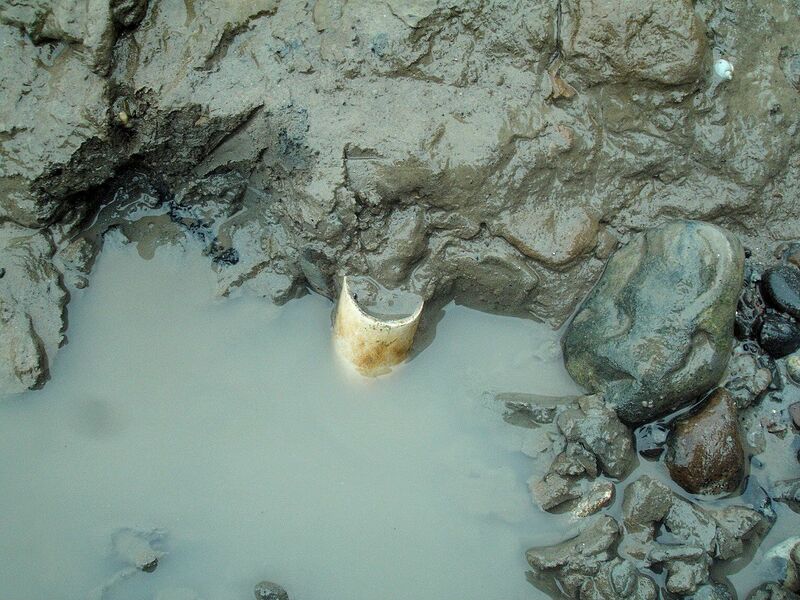 The remaining rim suggests a diameter of 30-35cm. At other times it’s pretty clear what’s buried .. the question is how much of it remains! 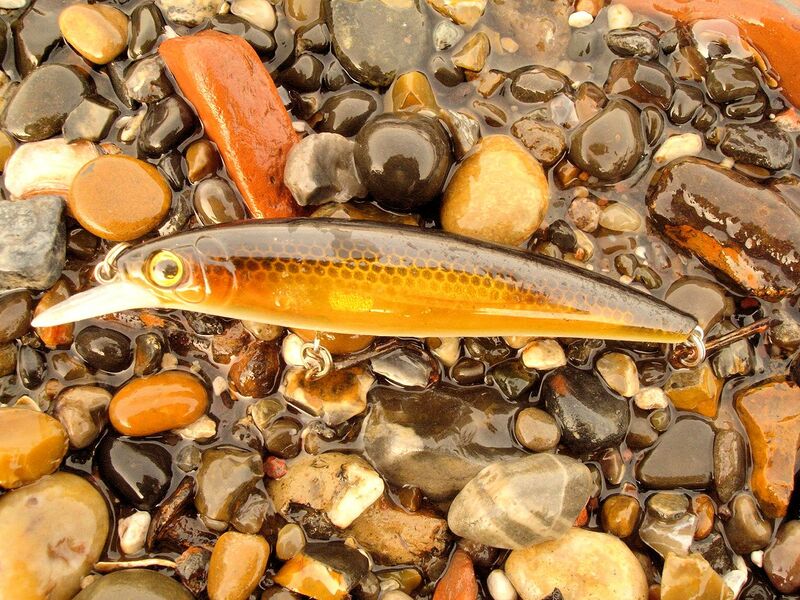 It’s flint .. and I’ve noticed many times how flints can assume a really curious suggestiveness. Of course many flints do have ‘non-arbitrary’ fossil impressions on them, but there are just as many so-called pseudo fossils amongst flints .. geological rather than biological in origin. 15/08/2017 On this occasion a friend who was with me, Pip, started to find pieces which looked like they could be medieval ‘bungholes’. 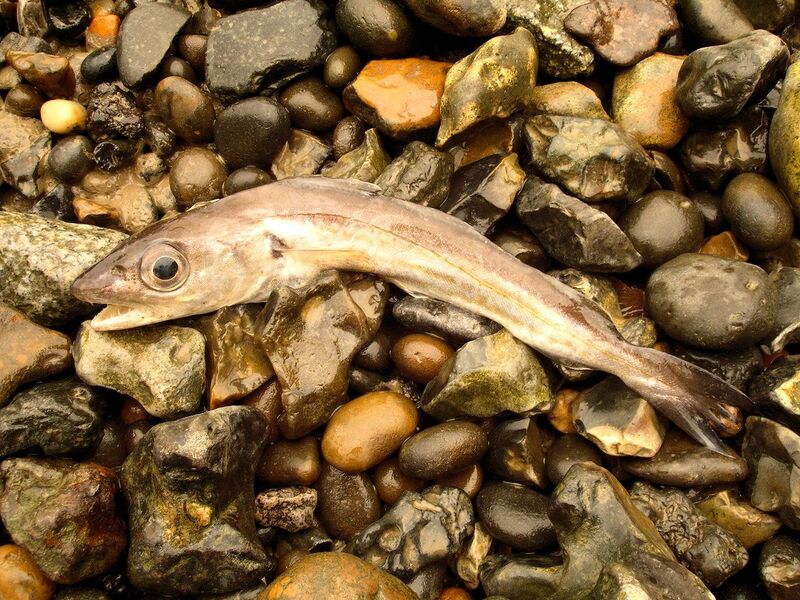 They’re found a lot on the Thames Foreshore, being more durable than the rest of the pot. With large vessels a.k.a ‘cisterns’ a reinforced hole would be added near the base so that the contents could be tapped without having to move them (just like a barrel). Then I started to find them. I’m not so sure about this one below .. I mean, about it being medieval .. because it’s so regular. I also see now that there are definite ‘turning’ lines on the one above which suggest the top rather than the side of the pot. This fragment below vaguely reminds me of medieval or Tudor pottery I’ve seen but I can’t pinpoint it. It has the ‘thumbing’ decoration common around rims or to secure handles, and also the start of some grooved decoration at the bottom. 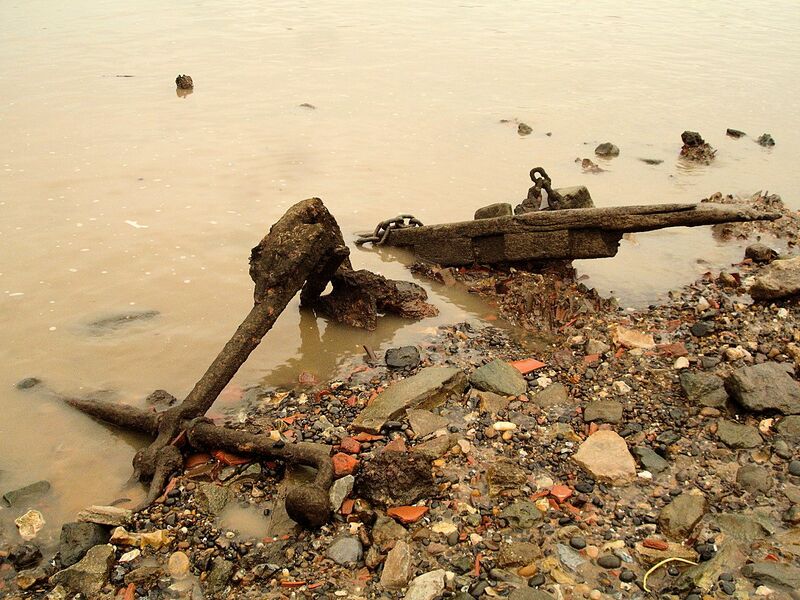 08/01/2017 An old anchor, including what looks like part of the vessel still attached, at the water’s edge in the ‘three posts’ area .. possibly soon to disappear. 03/01/2017 Often the chance photos turn out to be the more meaningful finds, rather than the objects themselves. These photos preserve the context and emphasize experience rather than ownership. 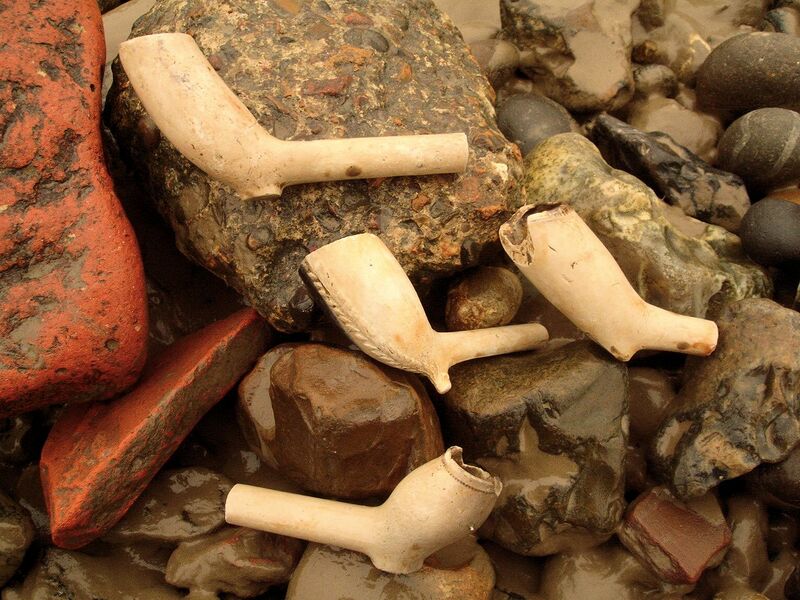 The objects tend to lose their power when they’re taken away from the foreshore, cleaned up and stored. I enjoyed the relationship between these four .. taken around the same days.